These sheet pan baked eggs with sweet potatoes, kale, and cilantro-pepita pesto are packed with flavor and nutrition, but free of gluten, grains, dairy, and nuts! Hello, happy Monday, and welcome to breakfast week! 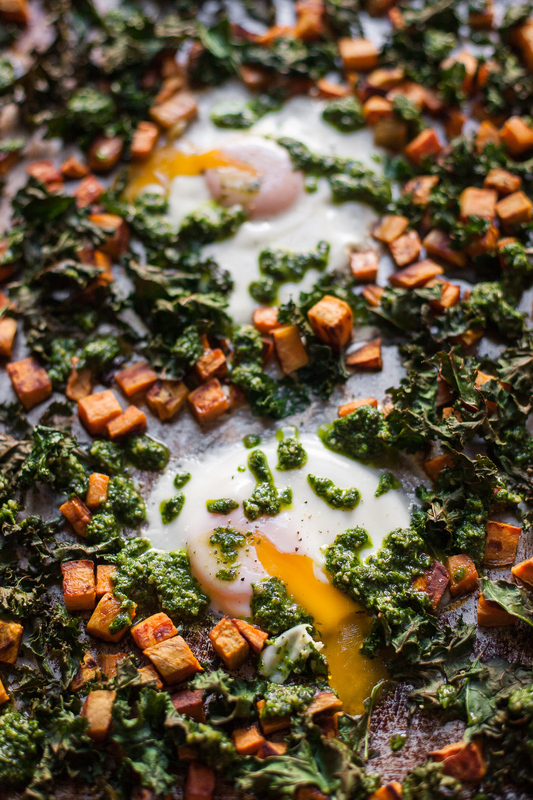 It’s nothing formal, but I have several scrumptious breakfast ideas coming up that I’m so excited to share with you, starting with these sheet pan baked eggs with sweet potatoes, kale, and cilantro-pepita pesto. This recipe is something I make versions of for myself all the time for quick breakfasts and lunches, because the combination of roasted sweet potatoes, crispy kale, and runny yolks is pretty much irresistible. 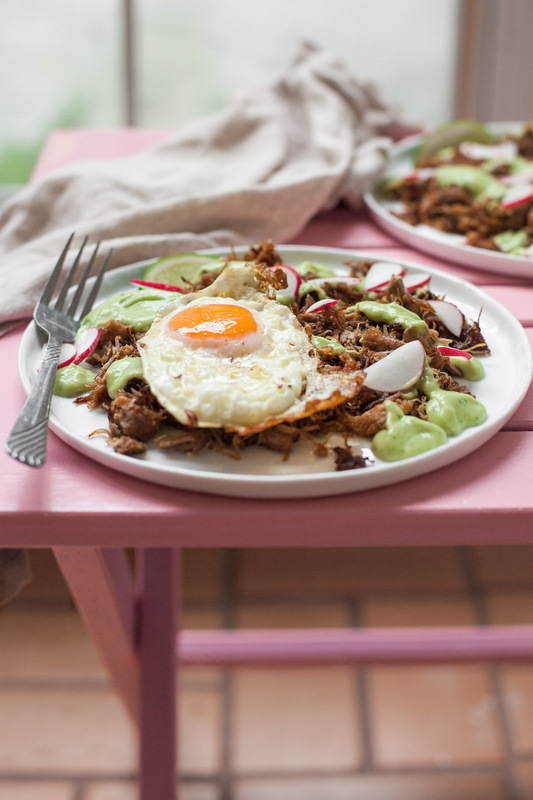 Try carnitas con huevo–crispy slow-cooked pork with fried eggs–for a hearty and irresistible paleo breakfast. There’s avocado crema involved, too! I’m sorry for the silence here last week! I hadn’t planned on taking a week off from sharing recipes, but suddenly Easter and several deadlines for freelance work and a few other things snuck up on me. 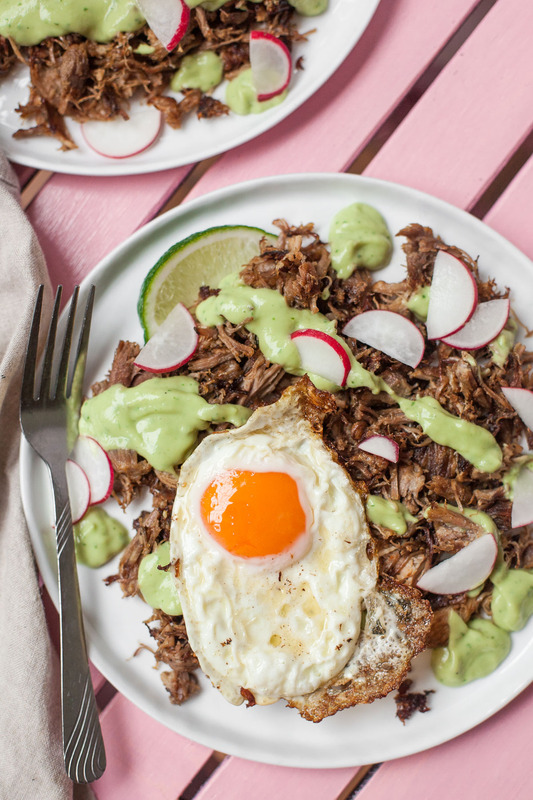 I’m back, though, with one of my favorite breakfasts of all time: carnitas con huevo (slow-cooked, crispy pork with an egg on top) with avocado crema. 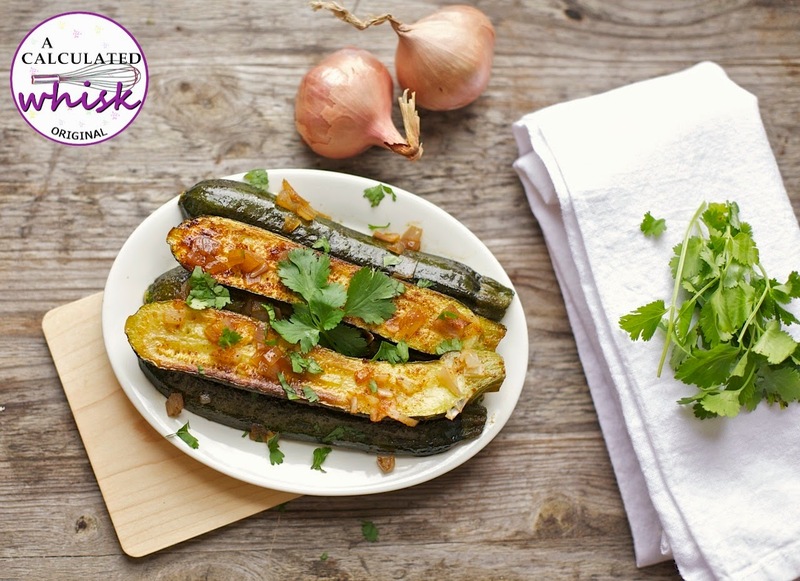 If you’ve by any chance been reading since I started this site in 2013, you may recognize this recipe as one I posted back then during my first attempt at a Whole30. It was long overdue for a reshoot, though. Just for fun, I’ve included one of the original photos below right before the recipe card. I’m constantly working on improving my food photography and styling, but looking back on photos from a few years ago makes me feel really good about how far I’ve come already. Big news! I wrote a cookbook! 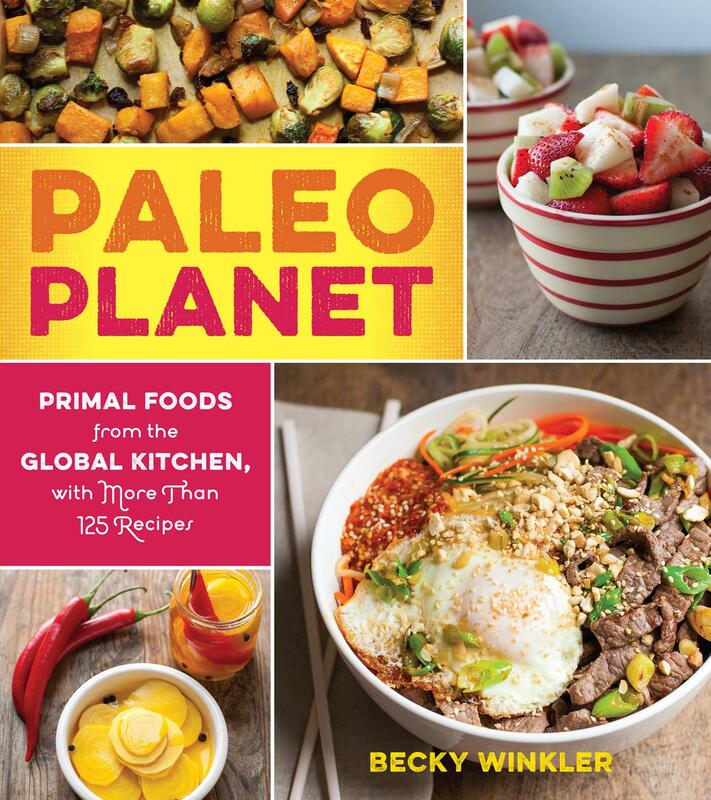 Paleo Planet is available for pre-order now and comes out on November 3rd, 2015. You can find it on Amazon, Barnes & Noble, and Indiebound or read more about it on the Harvard Common Press site. The book has over 125 paleo recipes inspired by cuisines from around the world, all made without gluten, grains, refined sugar, legumes, soy, or dairy (with the exception of ghee). 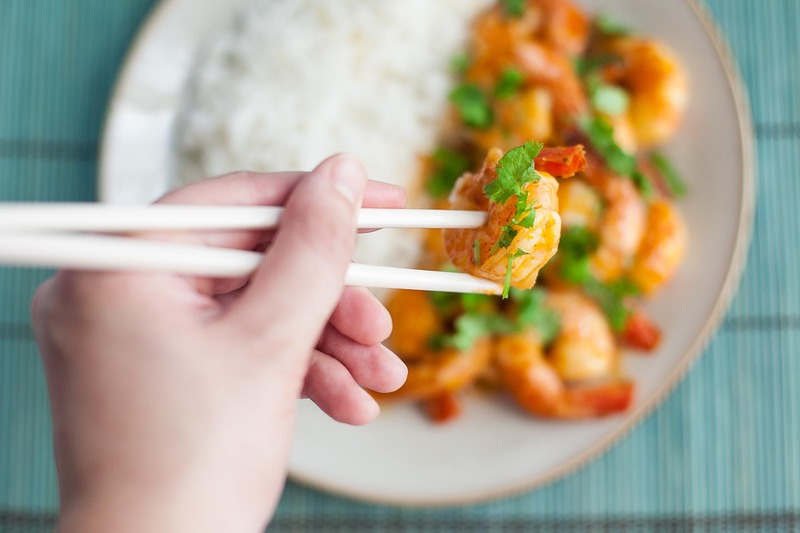 There are plenty of main dishes made with poultry, beef, pork, lamb, and seafood, as well as chapters for appetizers, vegetable sides, spice blends and other pantry staples, and of course, desserts. Every single recipe has a color photo taken by me! Writing this cookbook was a ton of work, but I’ve never eaten better than I did while working on it! It was so much fun researching dishes from different cuisines and adapting them to fit the paleo lifestyle. Some of the recipes in the book are traditional foods from a certain country, while others are more fusion recipes. 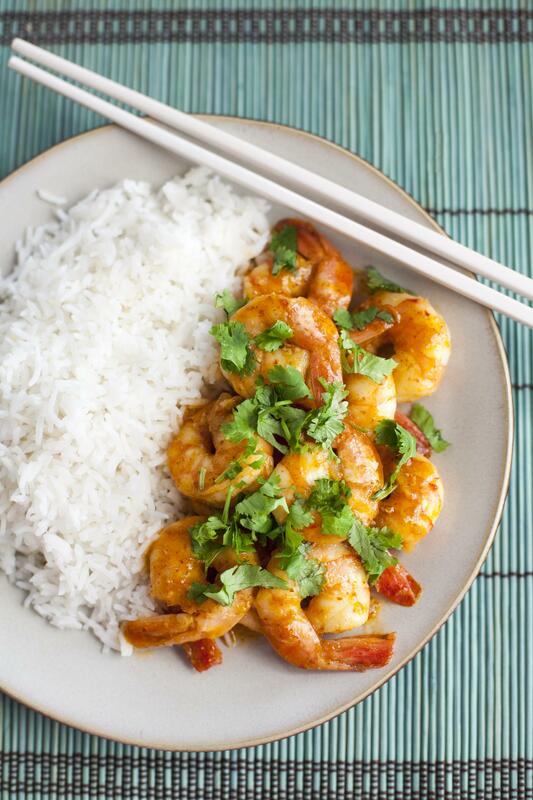 Still others just incorporate exotic flavors into an old classic or provide a fresh twist on a well-loved recipe. 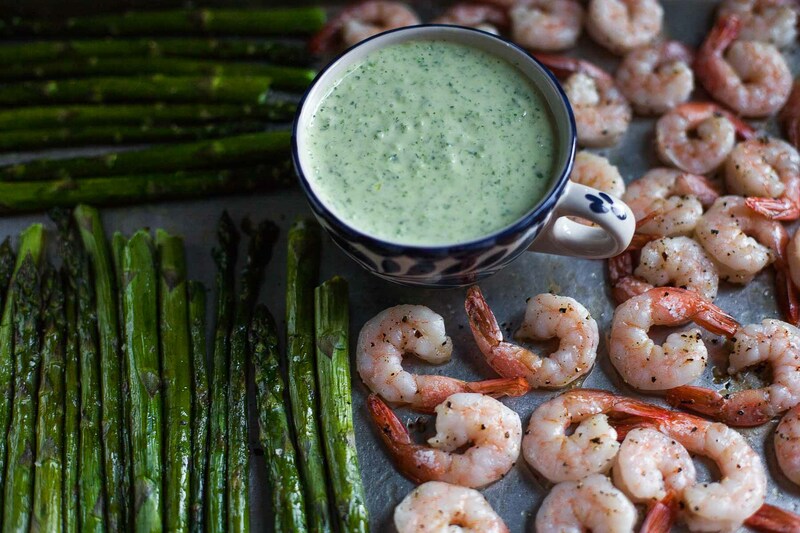 Succulent roasted shrimp and asparagus are served with a tangy garlic scape green goddess dressing for an easy, 30-minute paleo dinner that’s also Whole30-compliant. I’m kind of mad at myself because I missed the boat on ramps this year. At the photography workshop I went to in May we ate them at almost every meal (there’s a picture of them in this post), and when I got home I vowed to track some down so I could cook with them myself for the first time. However, I’m a lazy late-evening grocery shopper and there were never any ramps left. Before long, their short season had ended. You’ll be relieved to hear that I am NOT missing out on garlic scapes. 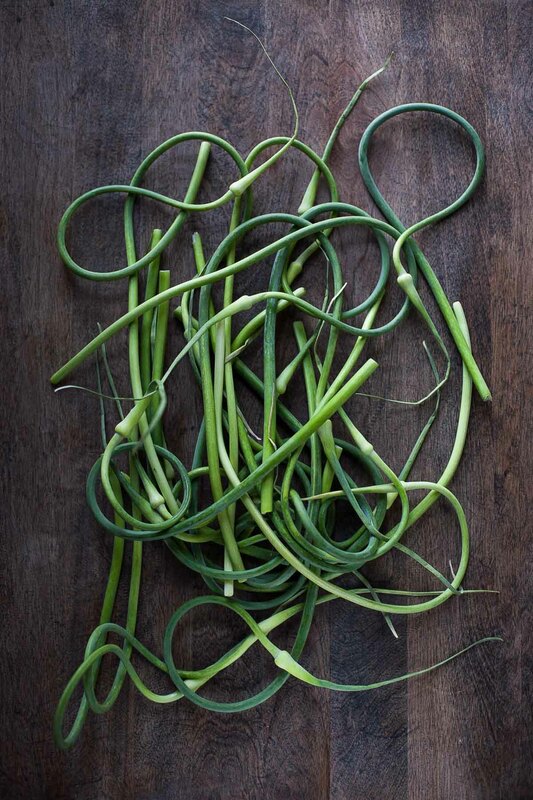 While ramps are their own kind of plant and are usually foraged wild (hence their limited availability), garlic scapes are the flowering stalks of garlic plants that farmers cut off so the plant’s energy can be fully devoted to the bulb forming below. Garlic scapes are cool looking (see evidence above) and I like their name: it sounds like they’ve been trying to escape from the head of garlic, which is pretty much what they actually do. 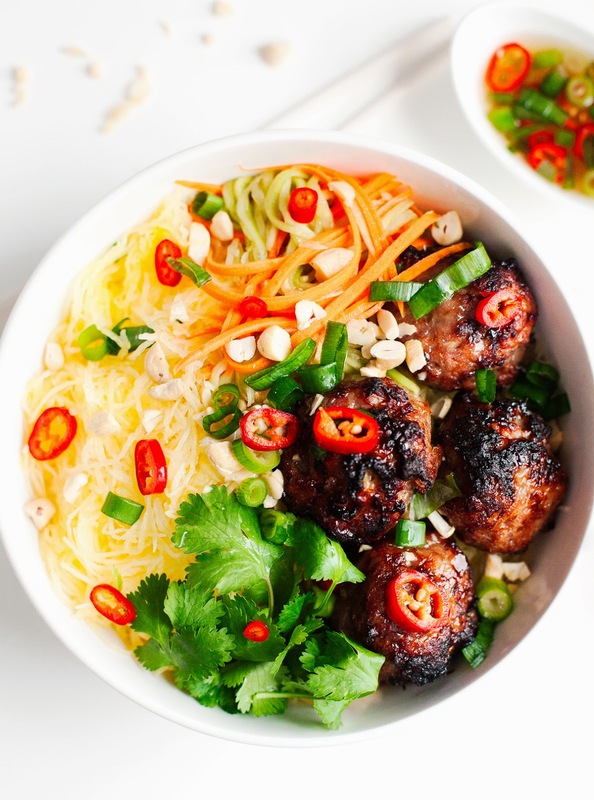 These caramelized pork meatball “vermicelli” bowls are made with paleo-friendly caramel and spaghetti squash instead of noodles. My favorite thing to order at our local Vietnamese restaurant is bún chả, a bowl of vermicelli topped with pickled vegetables, peanuts, and grilled sliced pork or pork meatballs, served with a generous bowl of nước chấm (sweet fish sauce) on the side. 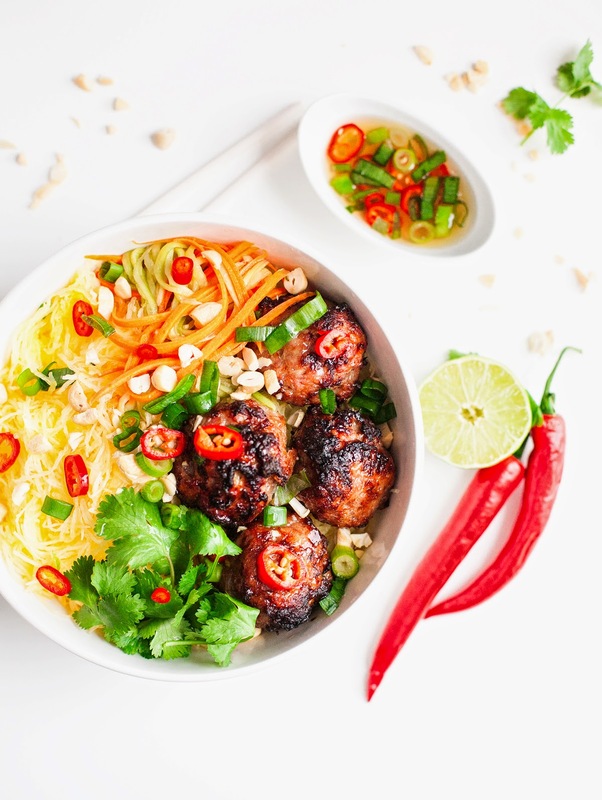 This caramelized pork meatball “vermicelli” bowl is a paleo version that hits all the right notes without refined sugar, legumes, or actual vermicelli–the noodles are spaghetti squash instead! I’m not always a fan of swapping spaghetti squash for regular noodles, but it really works in this dish. There are so many flavors and textures intermingling that the squash flies almost completely under the radar. The star of this bowl is the caramelized pork meatballs, which are by far the best meatballs I’ve ever made. Last time I attempted Vietnamese pork it was delicious, but nowhere near as good as what I’ve had in restaurants. I wasn’t sure how to get that unique flavor–the one that’s at once almost too sweet and almost too savory, but actually just perfect. Then, while doing a little online research, I came across this recipe from Saveur, which involved a very surprising step. I never would have tried the technique advised in the recipe if it hadn’t come from such a trusted source, because it sounds totally ridiculous. Luckily enough for me and you, though, I did try it, and it was just the ticket. Buckle your seat belts, folks, because we are going to MAKE CARAMEL and put it in the meatballs. THAT is what I mean by “caramelized”. This paleo cilantro lime chicken is easy to make and great right off the grill, on top of salads, or alongside roasted vegetables. 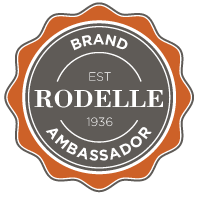 For this month’s Secret Recipe Club, I was assigned the blog Angels Homestead. It’s written by April, a mom, homesteader, and frugal cooking expert who was the owner of the SRC for several years. April recently began cooking without grains for health reasons, and you can read a bit about her story here. Everything I make is grain free, so I was excited to find many recipes on April’s site that fit my dietary requirements. I was also excited to find several recipes featuring cilantro, my go-to herb. I can only assume that April must be a fellow cilantro fan! Do you like to read “day in the life” posts? 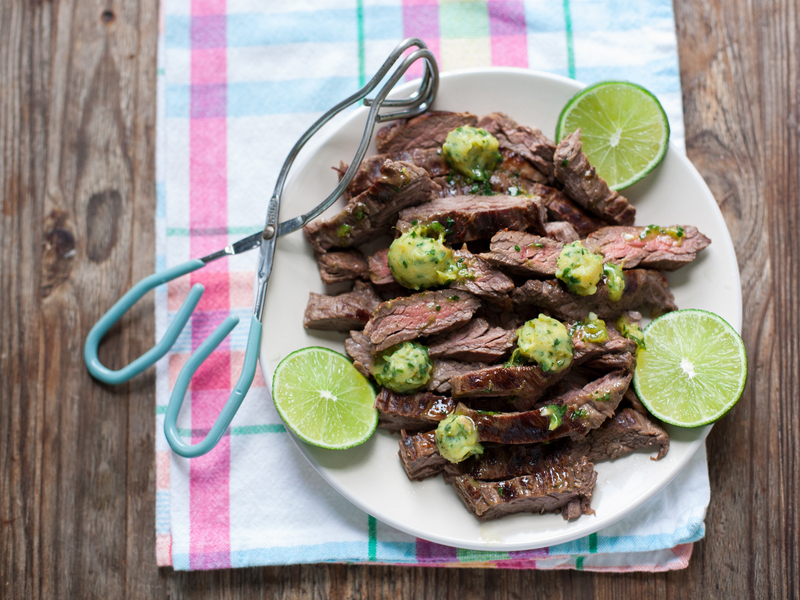 I loved this one on What’s Gaby Cooking (the first food blog I ever read! ), saw this one recently on How Sweet It Is, and was inspired to write my own. I think it’s fun to get a peek into someone’s daily routine. Of course, if you don’t, you can just scroll down for the recipe. If you’re still with me, here’s the story of my Thursday! I woke up late, around 9:30. Since Ben works from home on Thursdays, he had made coffee. I had mine with vanilla chai spiced ghee and a splash of cream, blitzed with my immersion blender . In the kitchen, I briefly contemplated abandoning my cauliflower plans since I wasn’t sure I had time to cook and photograph everything before class at noon, but I decided to go for it. I had a gorgeous orange cauliflower from Whole Foods, so I had to take a few shots of it before chopping it up. It’s Day 22 of my Whole30! I can’t believe it’s been over three weeks. This month really is flying by. I have more energy, more even moods, and while I still get hungry, I no longer want to kill all the things when my stomach starts rumbling. Also, my pants are looser and I’m recovering more quickly from my workouts, with much less soreness. Yesterday, a big snowstorm came to town. 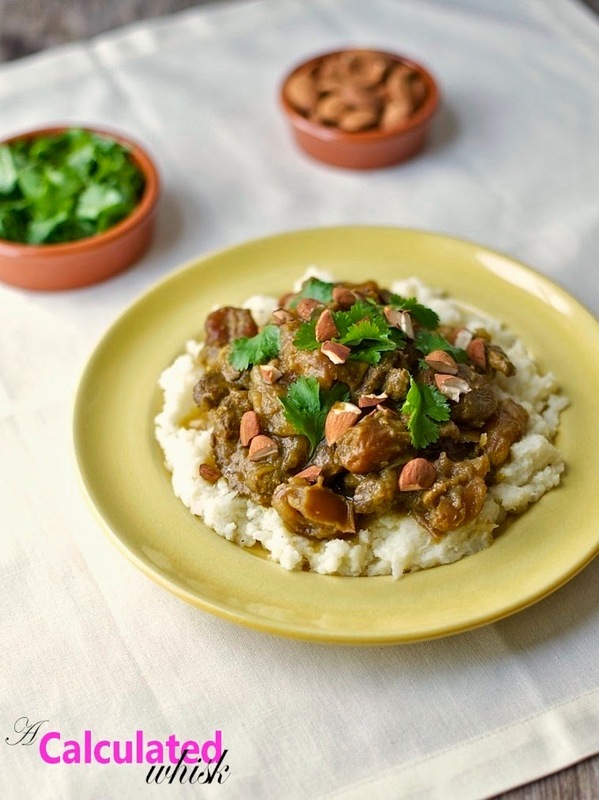 After traipsing home from the train station in the snow, I made this Moroccan beef. It’s almost a stew, but I wanted the sauce to be nice and thick so that the beef wasn’t swimming in liquid. The meat is perfectly spiced, and the sweet fruit provides a wonderful counterpoint. The garnishes–toasted almonds and fresh cilantro–are highly recommended. I served this beef over a simple cauliflower mash, but it would also be great with spaghetti squash, cauliflower rice, or even real rice–anything that will soak up the delicious sauce. 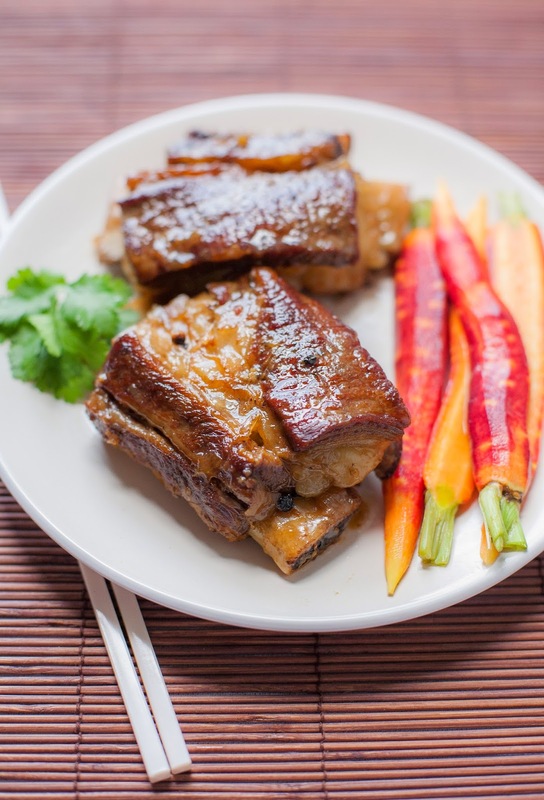 No matter how you serve it, this dish will comfort and warm you on a cold winter’s night. When I lived in Houston, I loved to stop at El Rey Taquería for a big bowl of their tortilla soup, which was packed with chicken, shredded cheese, corn, avocado, and crispy tortilla strips, and also called caldo tlalpeño. The restaurant is open until 3 am on the weekends, and has a drive-through. I miss living the easy life in H-town, with all the drive-throughs, cheap prices, and delicious Mexican food! I decided it was time to make my own caldo tlalpeño up here in the frosty north. 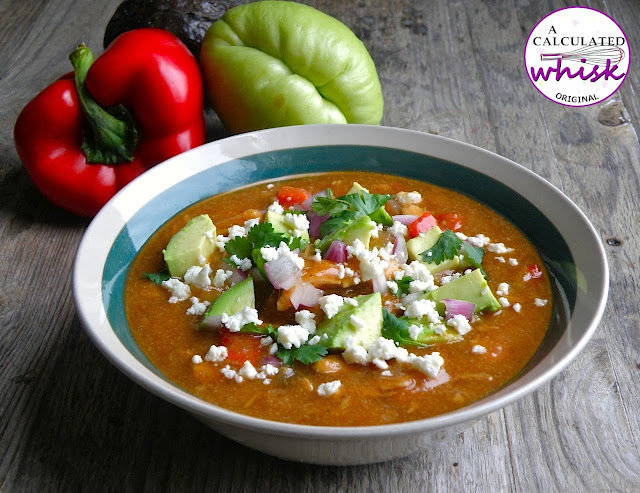 A little research revealed that caldo tlalpeño and tortilla soup are not really the same thing. Tortilla soup usually has tortilla strips in it (shocking, right? ), and caldo tlalpeño often has chickpeas and other vegetables like chayote. This is my version of the soup, which combines the best of both worlds. If you can’t find chayote (I found mine at the Vietnamese market), you can use zucchini instead or leave it out.